Dry means less vermouth. Extra Dry means a lot less vermouth. The only difference between a Martini and a Gibson is the garnish. 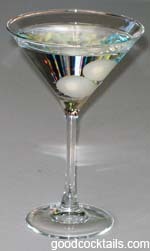 Martini comes with olives or a lemon twist while a Gibson comes with cocktail onions.